When making PVC lay flat hose, it mainly uses high-quality materials to produce PVC lay flat hose products, which makes it applied in many fields. 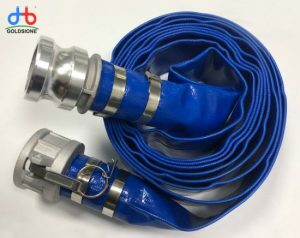 But in order to avoid quality problems in use, we must choose high-quality PVC lay flat hose when choosing and purchasing. High-quality products should be smooth and flat. There should be no breaking, drawing, loosening, inner and outer grooves, deforming air holes and impurities in the coating. Even in humid environments, high-quality PVC lay flat hose can maintain a good state for a long time, while some poor quality, if left in wet warehouses and other places for a long time, will easily become moldy and rotten. 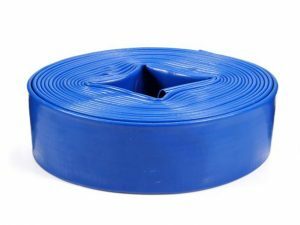 The quality of PVC lay flat hose must also be guaranteed above 0.5kg. Packaging bags are all suitable for transportation, loading and unloading as well as handling, and will not be easily damaged. Excellent PVClay flat hose products are manufactured under strict process, stable and reliable quality, excellent performance, is very worthy of purchase. The next article：How about the water-saving irrigation effect of PVC lay flat hose?